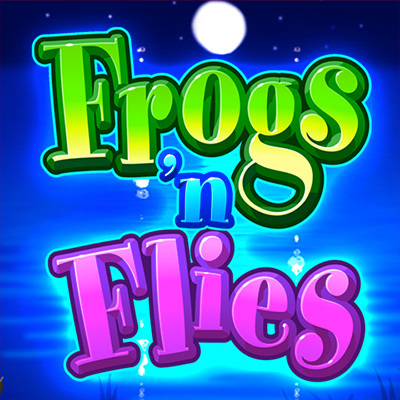 Frogs 'n Flies a 1024 ways slot game with a cast of cheerful characters and upbeat, happy music. Before the spins begin, watch as extra 'Wild Flies' swoop in and load on reels 2, 3, & 4. Landing 3, 4, or 5 Bonus symbols anywhere on the reel triggers 5, 10, or 20 free spins respectively. Sit back, relax, and watch the extra wilds load, followed by the free spins which automatically begin.